Honor your babe and belly during one of the most sacred times of your life. Adorn your belly with the art of henna. 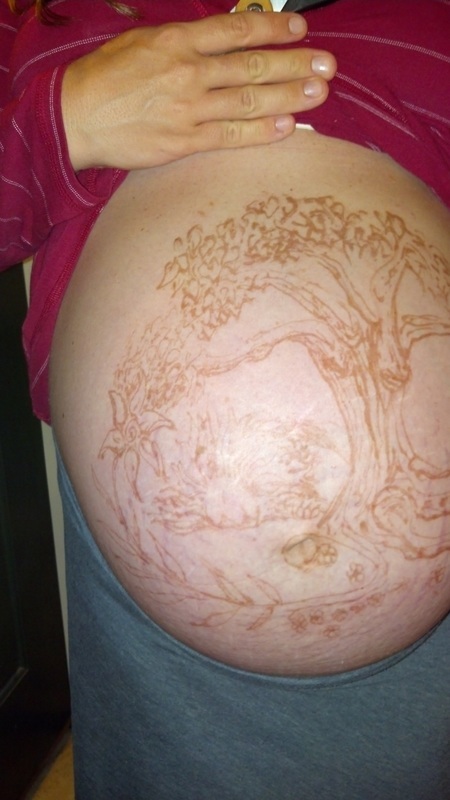 Henna Belly Blessings are a great way to commemorate your sacred pregnancy. Plan a relaxing afternoon to indulge in time with self or quietly visit with friends as Summer reads the energy your baby is radiating and paints a picture with henna paste on your belly capturing the soul essence of your child. Patterns to guard against the evil eye and offer protection to mother and child can also be incorporated. I use professional grade Henna powder and mix the paste myself for each client. Henna paste is completely natural botanical, non toxic and safe for mother and child. Henna is an herb that produces a red dye. It has a pleasant earthy scent and is mixed with lemon juice, a little sugar and lavender essential oil (this can be substituted or left out as you prefer). The application of the herbal paste has a cooling and relaxing effect. 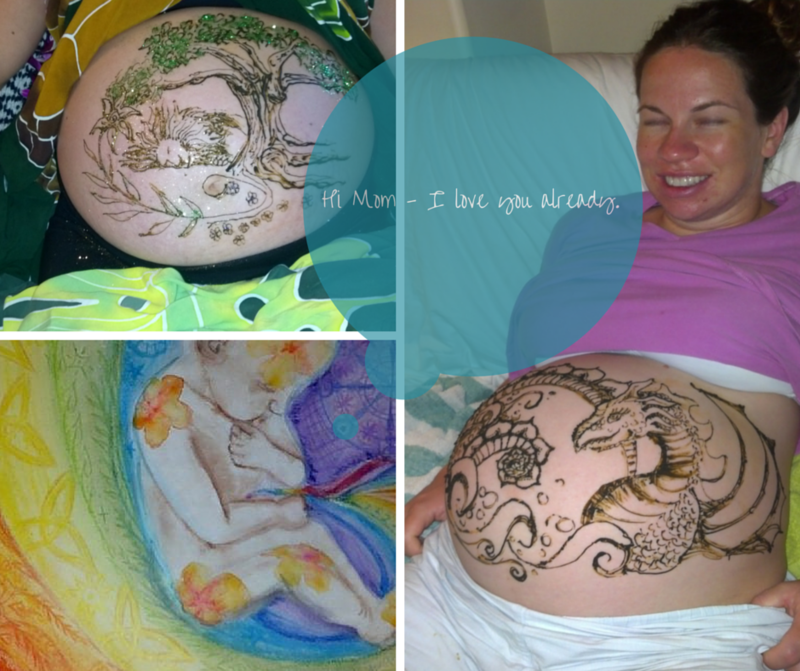 Belly blessings are a great way to support and care for a new mother on her path. Sessions can be combined with other services to increase mom and baby's well being. Prenatal massage is a great way to release tension and soothe away stress and anxiety. Divinations offer an opportunity for mother to receive guidance from divine source and can provide clarity. A Fire Ceremony and Prayer Bundle can balance the energy of the family to allow an easier transition when baby arrives. This picture was taken one week after the blessing was done.